There’s more detail about WHY you might want a Facebook page here, and a guide on HOW to create one here (although that guide might be a bit old now). So let’s assume you already have a Facebook page & talk about how to auto post to it from OngoingWorlds. We need to use a free third-pary tool. 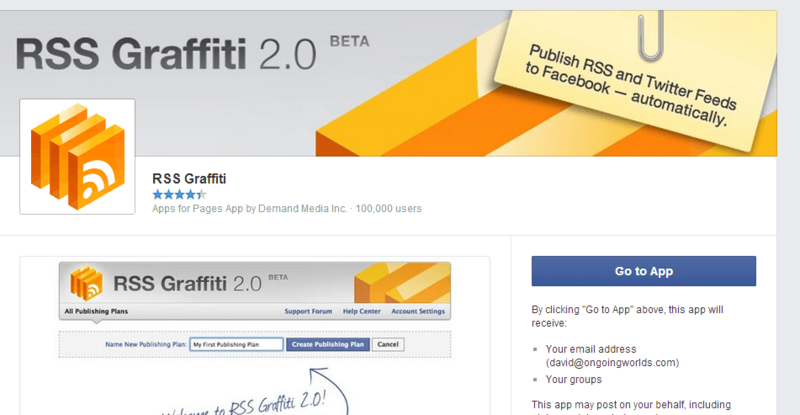 There’s a few of these you can use, but the one I’m familliar with is RSS Graffiti. 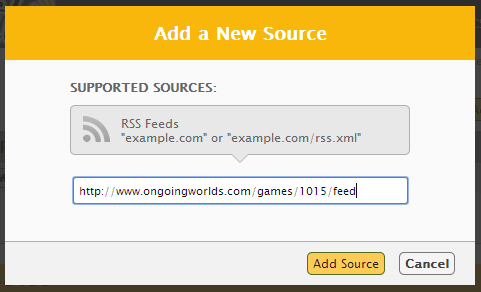 Basically it will check an RSS feed for updates, and post them to a Facebook page. If that last sentence didn’t make sense to you, don’t worry, you don’t have to understand it. Just follow these instructions. Go here & click “Go to app”. Accept the permissions which allow it to access your pages. If you have multiple games, and multiple pages you could have many of these. To create your first, click “Create publishing plan”, and give it the name of your game. We need to find the RSS feed on OngoingWorlds and paste this in as a source. You’ll find this on the “All posts” page on your OngoingWorlds game, in the bottom left. 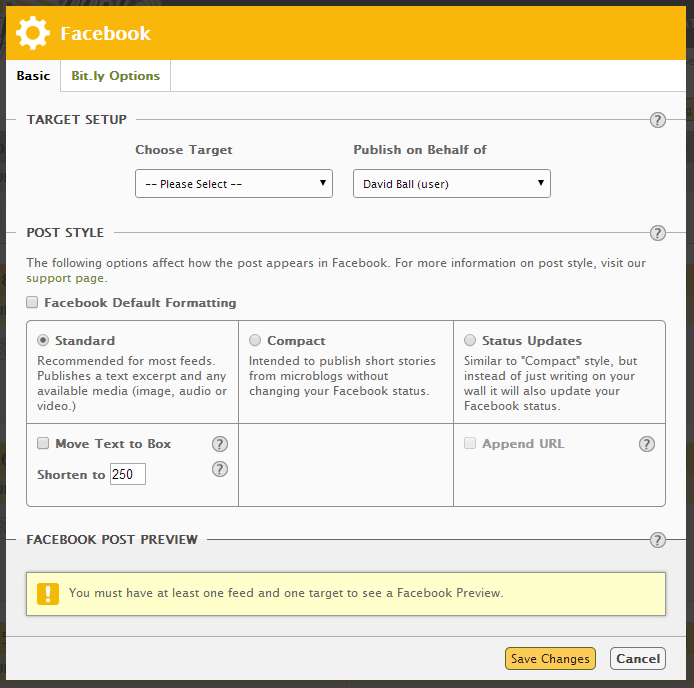 Select your Facebook page as a “target”. Also choose to publish “on behalf of” your page, instead of you. 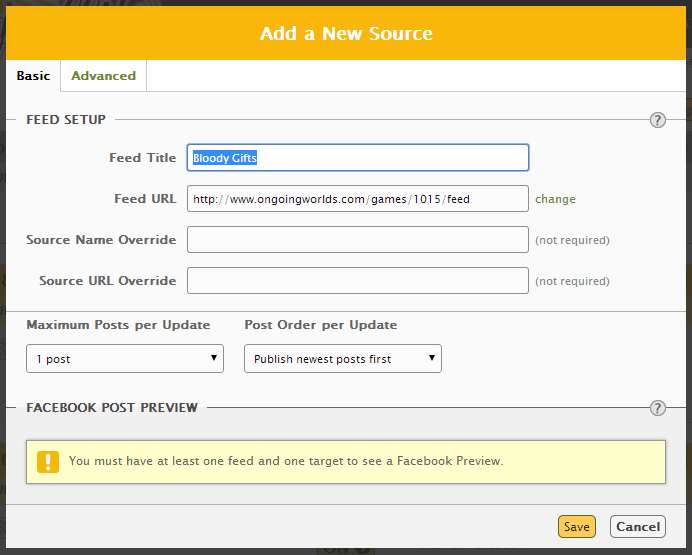 Try this out by posting in OngoingWorlds and you’ll see it post to Facebook if you’ve got this all set-up correctly. There’s more options in here to allow you to control the details, and how it’s presented but the defaults will work fine. If you’ve got any specific questions, ask them in the comments below.